Our next book to go on sale will be Juliet McKenna’s The Thief’s Gamble, the first part of our project to digitize her backlist. Cheryl has blogged about it here. However, soon after that we will be publishing a new anthology dedicated to the late Colin Harvey. 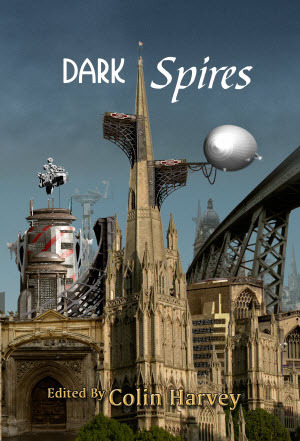 Colin was the editor of the first book we ever published — Dark Spires. 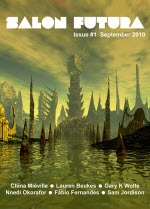 The Colinthology is edited by Joanne Hall and Roz Clarke (both of whom had stories in Dark Spires). It contains stories by Colin’s friends, many of which have been inspired by memories of Colin in some way. 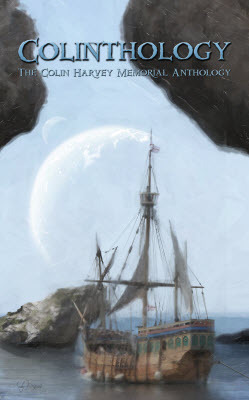 The cover is by Andy Bigwood, who also did the Dark Spires cover. Colinthology will be ebook only for now, primarily because of the the major aims of the project is to raise money for the charity that Colin volunteered for, Above and Beyond. Our time, and that of the editors and authors, is being donated free. We are hoping to have copies available for sale at BristolCon, at which Colin will be Ghost of Honour. In the meantime, here is the Table of Contents, which Jo and Roz blogged about at the weekend. 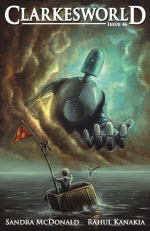 And here’s a peek at the cover art.